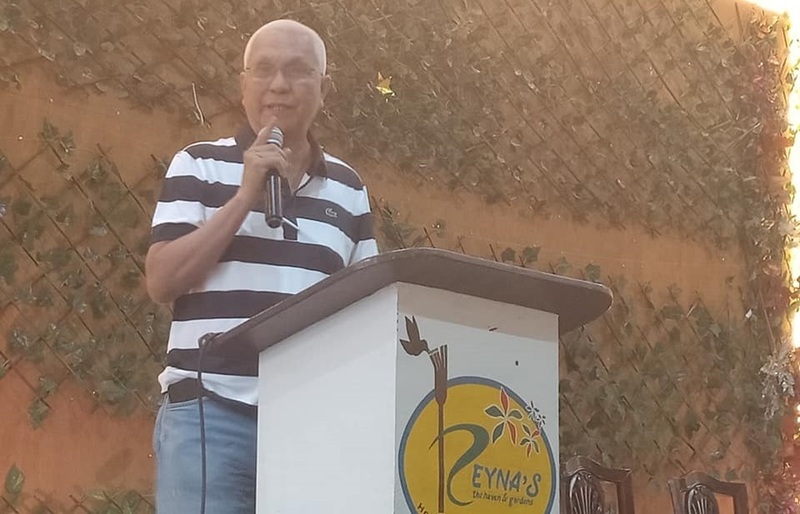 Former Cabinet secretary Leoncio Evasco, Jr. speaks before members and supporters of the Tinuod Bol-anon coalition during a meeting at Reyna’s Restaurant in Tagbilaran City on Sunday. Former cabinet secretary and now-gubernatorial candidate Leoncio Evasco, Jr. said that President Rodrigo Duterte himself will take action against Provincial Administrator Alfonso Damalerio II for his alleged involvement in the drug trade. The statement was issued two days after Damalerio challenged Evasco on Friday to “produce evidence” of his involvement in the narcotics trade in Bohol. “Dili man lang ako ang naghingan ni Ae Damalerio. Tungod lang ba kay ako politiko, iya kong gihagit? Dili baya ako ang iyang gi-hagit. Ang iyang gi-hagit ang Presidente sa Pilipinas,” Evasco said. “Ika-duha, ang iyang gihagit aning nia, ang naghimo sa maong report. Dili man ako ang naghimo sa maong report. Nakabasa ra ko sa maong report na gipa-abot sa Presidente,” he added. However, Damalerio’s statement made no mention of Duterte and was solely directed at Evasco. Damalerio challenged Evasco to substantiate his allegations within the month. While Damalerio was adamant for Evasco to prove his claims before February 28, the former Cabinet secretary and long-time Duterte ally did not specify when Damalerio’s “sentence” would be meted out.